Everybody knows graffiti. You have tags, which are often rudimental and are more to be seen as vandalism, but there’s also some real art in it. Annick has been a fan of streetart since she was a teenager (which is a long time ago) and the art developed a lot since then. But for both of us, the real deal is Roa. 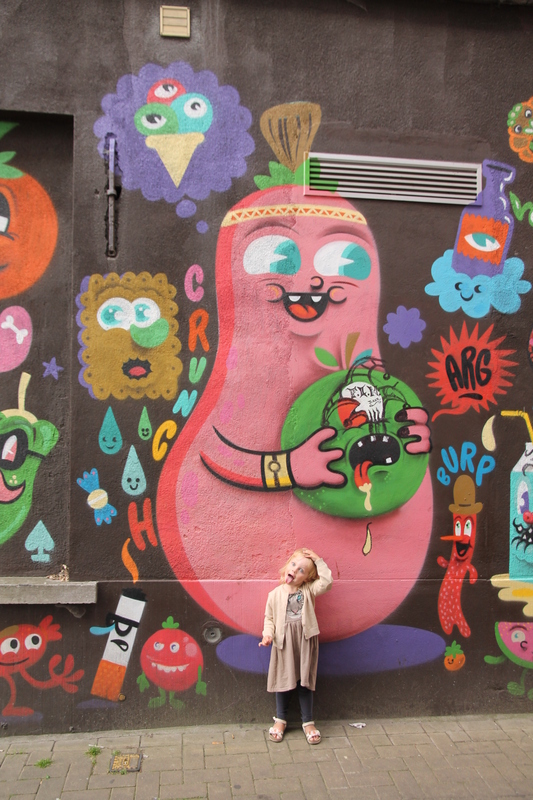 He’s a streetartist that is world famous by now, but what most of the planet doesn’t seem to know is that he is from our Gent. 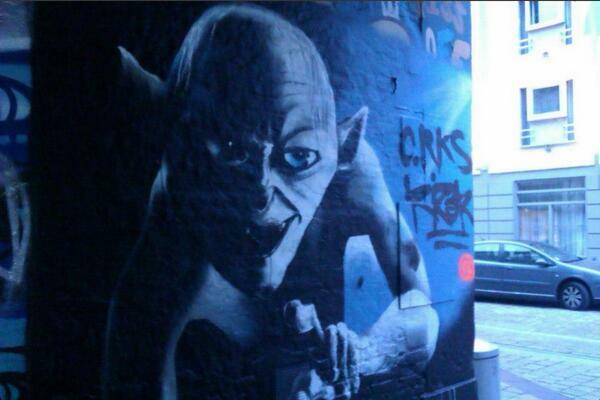 His style is very different from any other streetart you’ll ever see. His work is always black and white and shows anatomically correct animals, often dead. Roa heron we pass by each day after work. 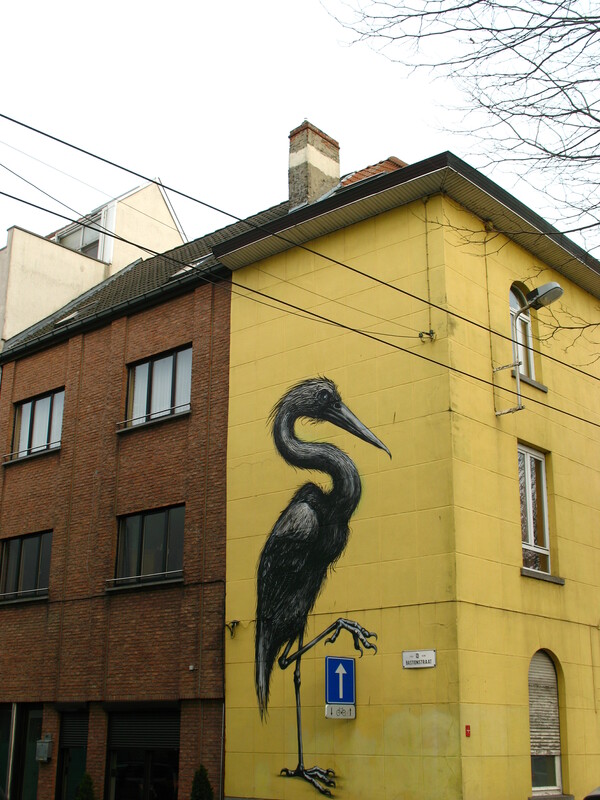 Since he has been working all over the world, not too many of his work is still left in Gent. Eight locations are still to be seen – and we’ve mapped them out for you. 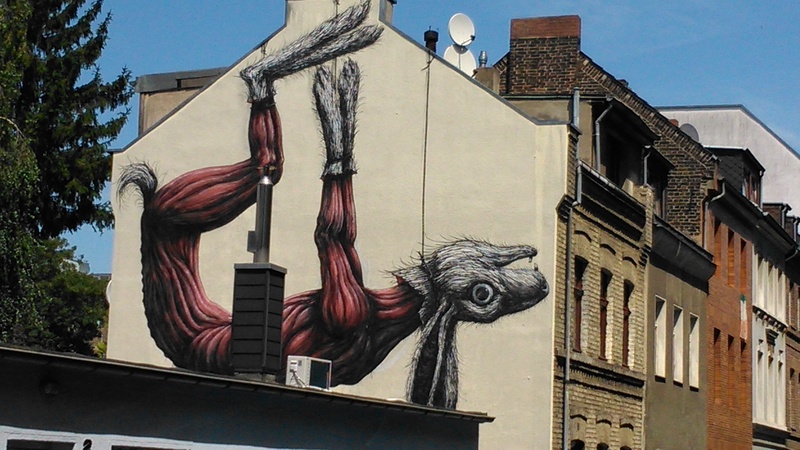 When we were travelling in Germany in the summer of 2014, we also spotted a Roa in Köln. 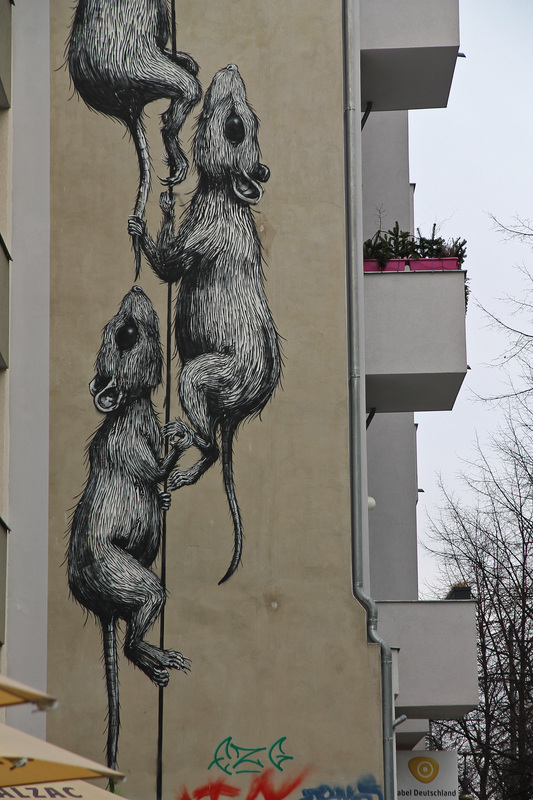 Roa in Köln – Germany. On our way back from that trip we stopped over in Doel, where a lot of his work is still to be seen. Doel is a mostly abandoned village in the harbour of Antwerpen, and a lot of streetart can be found all over town. We counted not less than 9 works by him there. A lot of buildings are in a very bad shape and will be demolished soon, so I’m not sure how much will survive. You can find a map of the works on our Germany journal – part two, day 3. In December 2014 we visited Berlin, just after Christmas. 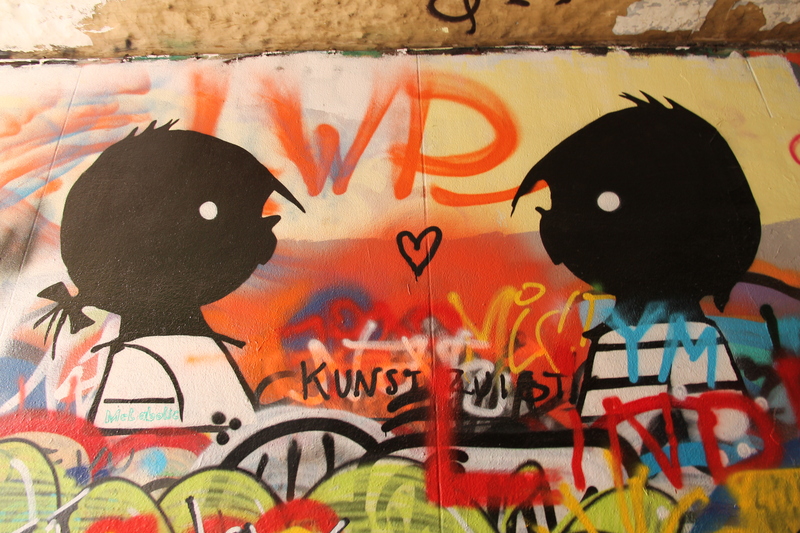 Berlin is famous for his streetart. You can see a lot of it in this blogpost, but for us the goal ofcourse was to spot some of the present Roa works there. 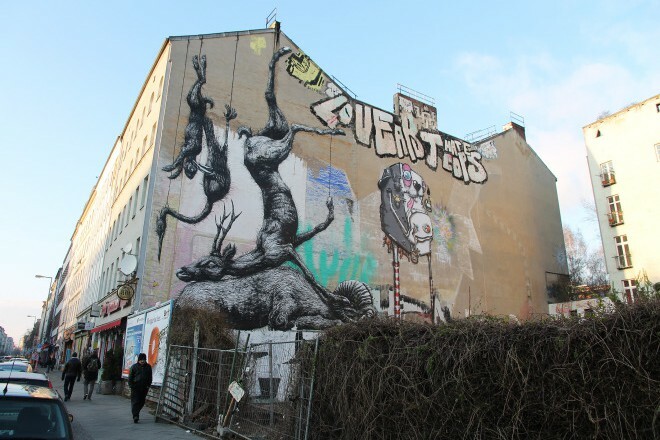 Works of Roa, Bué and many more are now mapped out in a walking or biking tour you can do on your own. A free map can be picked up at the tourist office. We did part of the tour in June, but didn’t have the time to complete it. It’s on our to-do. Other cool streetart pics also more than welcome!